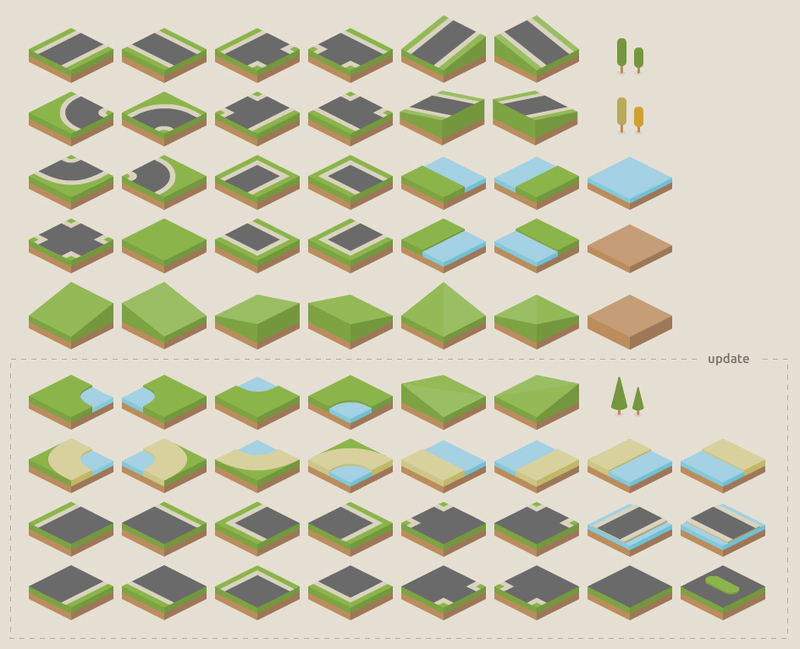 65 road tiles ready for your next project, whether you're planning to create the new SimCity or like to have a neat map in your game. Also includes 4 different trees to spruce (get it, spruce) up your city! Included are seperate PNG files and source SVG, AI and SWF vector files. They are cool. Nice and clean. I like this style. Thanks for sharing, Kenney. Great, but a bit incomplete. Some small buildings, like a skyscraper and a small "Home", maybe some kind of factory too. 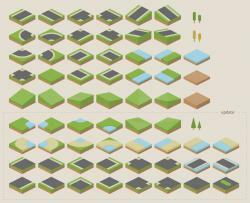 Updated the pack with 32 of the most requested tiles and objects! Congrats! Due to the update this was considered "Really Useful" and added to the RUA-collection! Only the most useful art submissions are marked as such. I hope that is okay with you and that you like it. Excellent! Nice that you included vector files. Great set! Will definitely use these! Thaks so much. Will e-mail you as soon as my project is done! Please assist me, tried 64X64 and 128X128 nothing is working, Do I have to make height weight of Map and tileset different if yes, what?